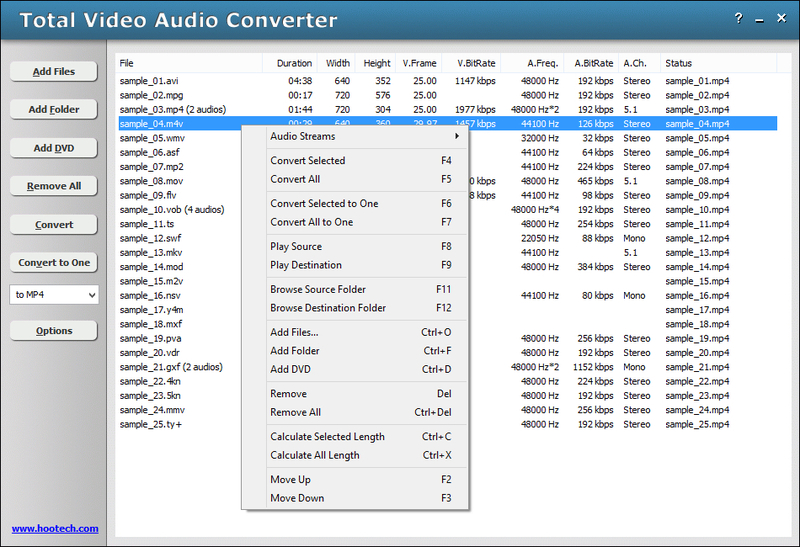 Total Video Audio Converter 4.0.1579 - Download Win Apps. An easy-to-use and all-in-one video and audio format converter software..
TVAC is an easy-to-use and all-in-one video and audio format converter software. The converter supports up to 320+ input formats, 70+ output formats, 360+ decoding codecs, and 150+ encoding codecs. You can convert video or audio file format, rip CD/DVD/Blu-ray disc, join video/audio, trim video/audio, rotate video with the software. TVAC runs on Windows 8.1/8/7/Vista/XP/2000.